Let's learn to make a Quilted Rag Purse with our Big Shot. Cut various fabrics into 5" strips. Cotton would be a good choice, although the Black & White Purse from Saturday was made with upholstery fabric. You will need 19 padded squares or 38 cut scallop squares for this project. Fold Strip so that you can cut 8 thicknesses of cotton or 6 thicknesses of Upholstery fabric in one pass through the Big Shot. 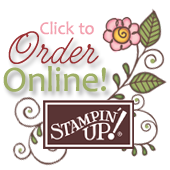 We will be using the Stampin' Up! Scallop Square die for this project. You"ll have your Scallop Squares cut quick as a wink. The trick is to stop when you have enough. Warning, it's fun watching the patterned squares pop out the other side. Build your squares with a piece of cotton padding between 2 layers of fabric. We will only use straight stitching on the whole project. Stitch an x on each square. You can use the tag team method to stitch your squares. It goes fairly quickly. Lay out your pieces in a pattern that is pleasing to you. Next, we're going to stitch them in rows. Here's the tricky part, especially for experienced seamtresses. The Seam is going to be on the "outside", so it is neccesary to lay two wrong sides (insides) together and stitch. For beginners, this may not be such a struggle. It may be easier to do the rows going the opposite of what's shown first. Then sew the rows together. The two end squares are the sides. Finally, Sew the sides to the front and back. Your seams should still be open along the top. Sew the handle and closure straps from scraps or try using 1" Double Stitched Grosgrain Ribbon for your straps. Insert and pin all straps in place, then sew along the top. Add a button to close your purse. I used the corduroy buttons. Great Texture. To give your purse the rag look, snip between each of the scallops, and then wash your purse. The upholstrey fabric really frayed for a shabby chic look. Again, thanks to Angie Juda for the orginal purse idea. Quilted Rag Purse Entry-Entry is simple. Each $25 order from now until February 27 will automatically be entered in the Quilted Rag Purse give away. Enter as often as you like.